Home Scandal and Gossip Video: Texas woman with baby attempts carjacking during 100mph cop chase. Video: Texas woman with baby attempts carjacking during 100mph cop chase. 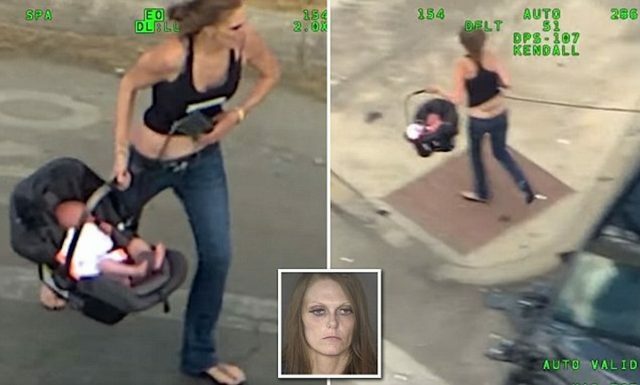 Pictured Texas woman Caitlyn Rodriguez as she flees from cops with baby in tow. Dramatic video shows Caitlyn Rodriguez a Bexar County, Texas woman fleeing cops during 100mph chase only to crash and attempt carjacking with baby in tow. Texas troopers have identified a woman caught on video crashing her car in a high speed chase and attempting to carjack another vehicle, while carrying a baby in tow. Upon her arrest, Caitlyn Rodriguez was booked on charges of child endangerment, possession of a controlled substance and evading arrest surrounding her June 15 ‘escapade’. KSAT reported a Texas Department of Public Safety helicopter filming the 29-year-old speeding 100 mph down Route 90 along Bexar County, — with the Rodriguez’s child strapped in the backseat of her Mercedes SUV after cops tried to pull her over on outstanding felony warrants. 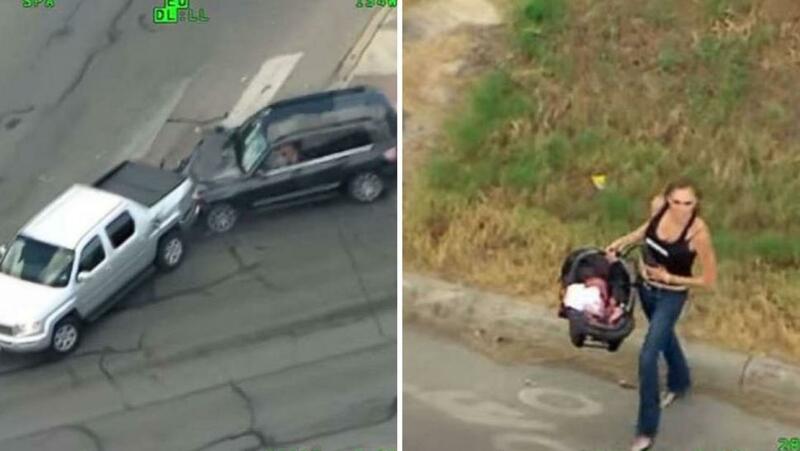 Footage showed (see below) the fleeing woman crashing into the back of a pickup truck after losing control after the tires on her Mercedes SUV are deflated by a police device. 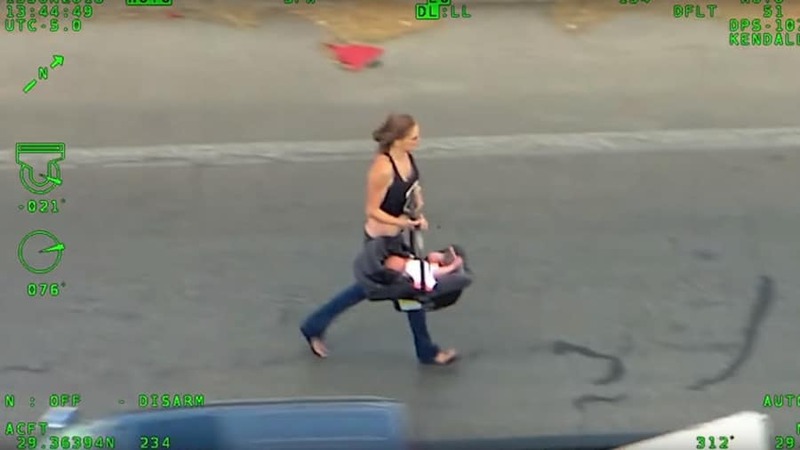 Upon crashing into a truck in front of her, the mother is seen jumping out and retrieving the baby birthed in a portable seat, before fleeing on foot. With the car seat in her arm, Rodriguez dashed across several lanes of the busy highway before entering the passenger side of a Nissan Xterra she’d tried carjacking. The terrified driver of the Nissan leaps out and rescues her own child from the back seat, with police dragging Rodriguez out of the vehicle and wrestle her to the floor after having blocked the SUV. Another officer removes the uninjured baby and placing the car seat on the pavement. It remained unknown who the child’s father was. 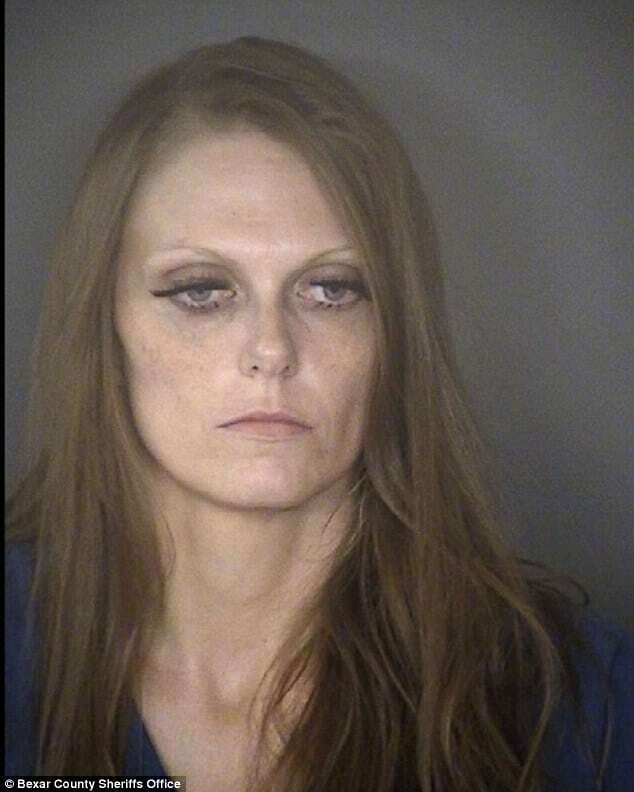 Pictured, Texas woman, Caitlyn Rodriguez. Pictured Texas woman, Caitlyn Rodriguez.